Es wurden 5 Knowledgebase Artikel zwischen dem 26.Oct.2015 und 27.Oct.2015 veröffentlicht. This is a known issue affecting the vSphere Web Client 5.5.x and 6.0.0. 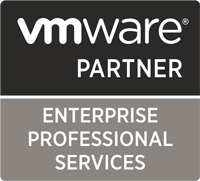 The issue is resolved in VMware vCenter Server 6.0 Update 1. Download the latest version at My VMware. For more information, see vSphere Web Client SDK 6.0 Update 1 Release Notes.